There is no doubt that Billy Graham observed the true meaning of Christmas. 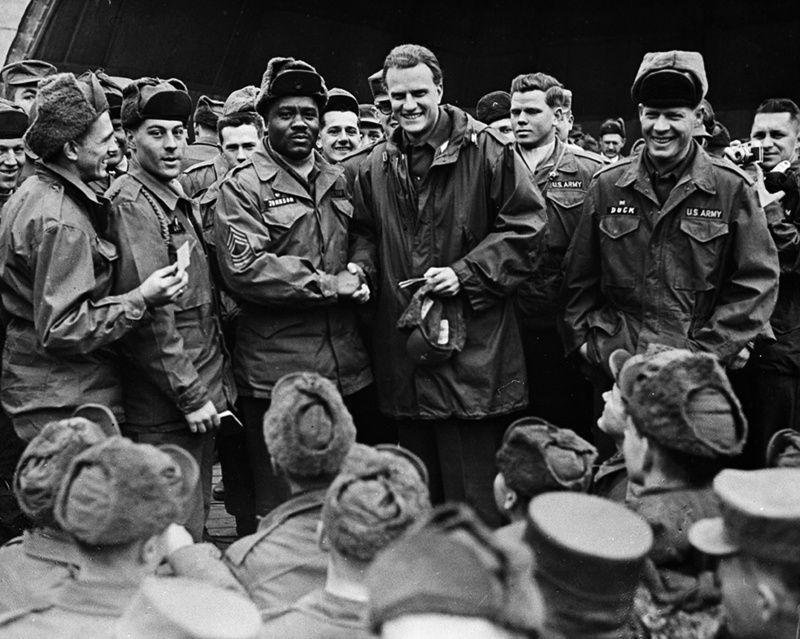 In 1952, Mr. Graham was asked to go to Korea and spend Christmas with the U.S. troops. Though he was looking forward to spending time at home, he knew he must say yes. In his mind, Christmas was the very reason he should go to Korea – to spread the news of Jesus’ birth and what it meant. Brother Graham always spoke with words so endearing. His manner was submissive but powerful to let us know the strengths were there. His messages have brought me to people that I may have scorned but now I know I must lend a helping hand.